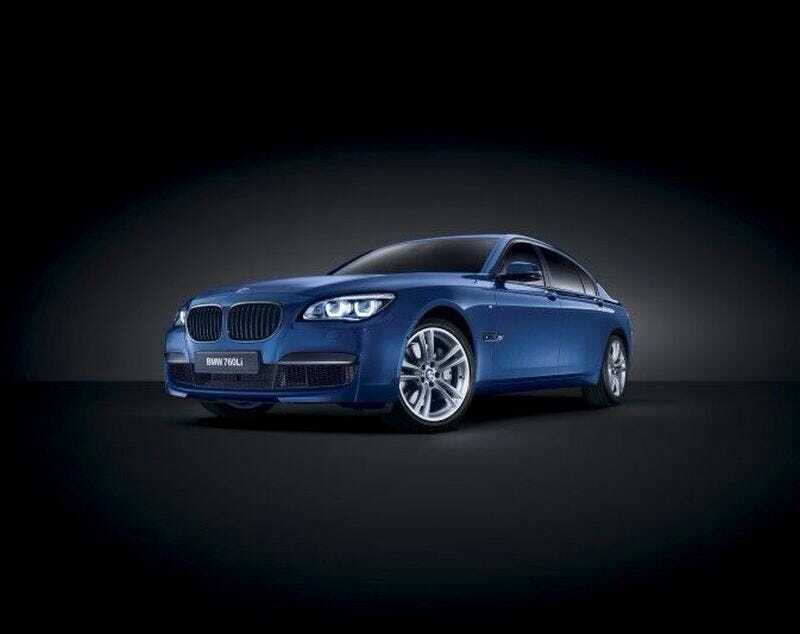 A limited amount of special edition BMW 760Li are being badged with exterior M-badges for the Middle East. Powered by the same V12 biturbo as the standard 760Li it goes to 60 in a impressive (for it's size) 4.6 seconds. It gets plenty of other M goodies like the body kit, paint choices, wheel selection, and other bits. I'll take one in Monte Carlo blue please.